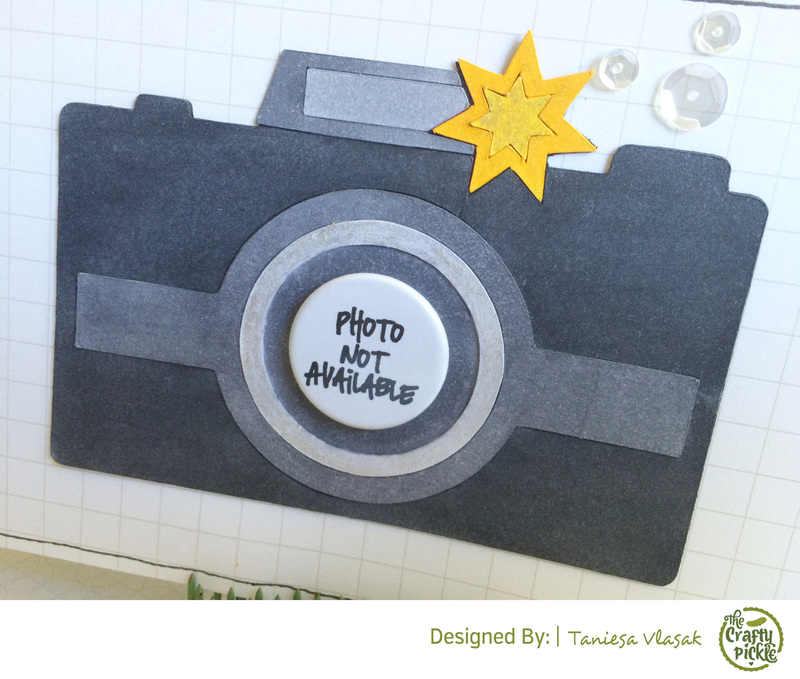 Today I have teamed up with Scrap your Scraps to share some ideas using Flair buttons! 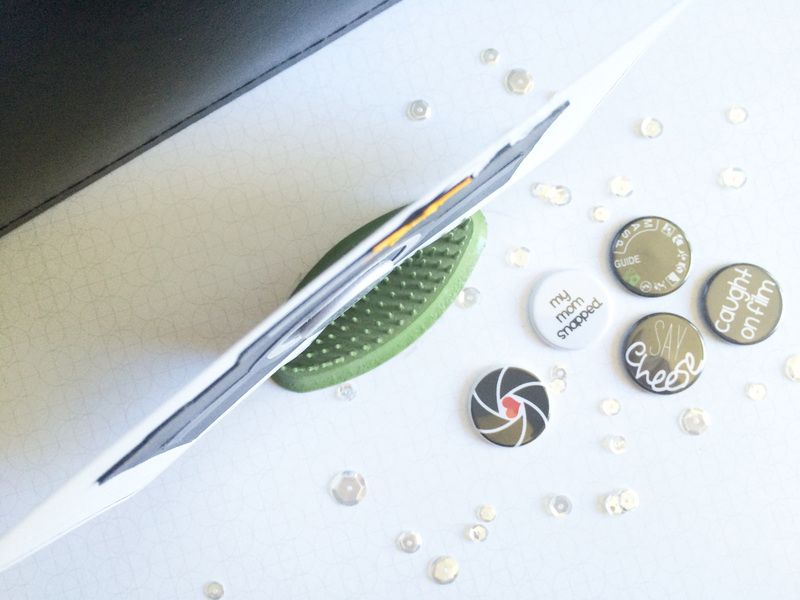 I wanted to share two different ideas using some brand new Flair that I just added to The Crafty Pickle Etsy Store. 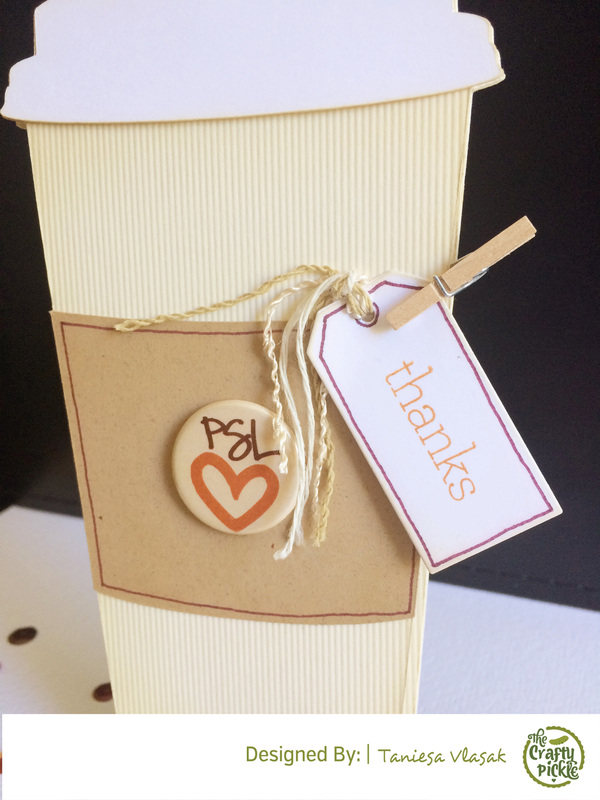 First up is a thank you gift card holder that I made using my silhouette and a flair from the Cozy Fall Set. 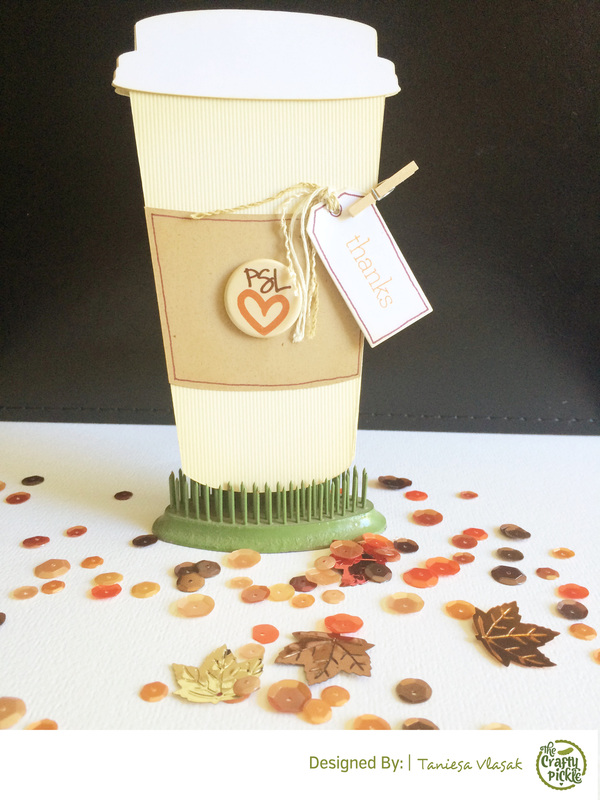 I adore Autumn and pumpkin spice latte’s are my favorite! I die cut a tag from some cardstock scraps I had, added a little bit of decorative trim and attached it with a little clothes pin. 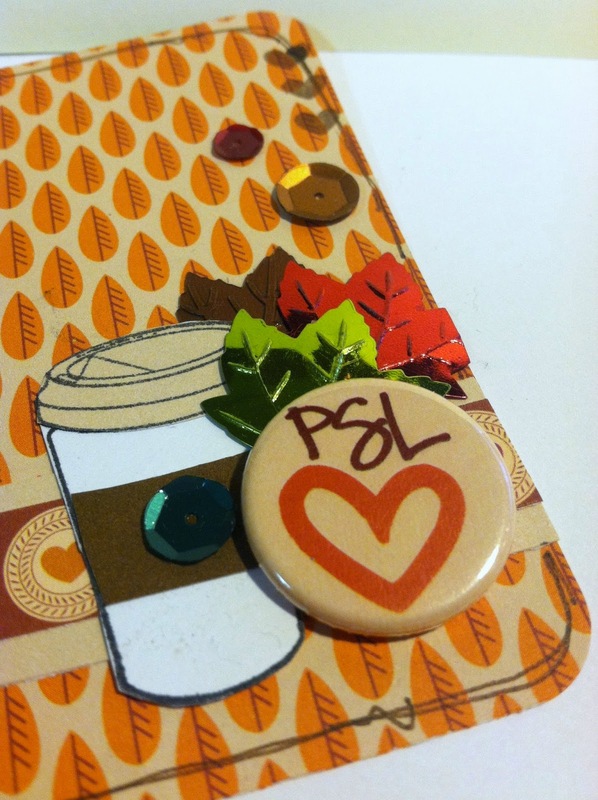 I attached the PSL (pumpkin spice latte) button with some tombo xtreme adhesive. 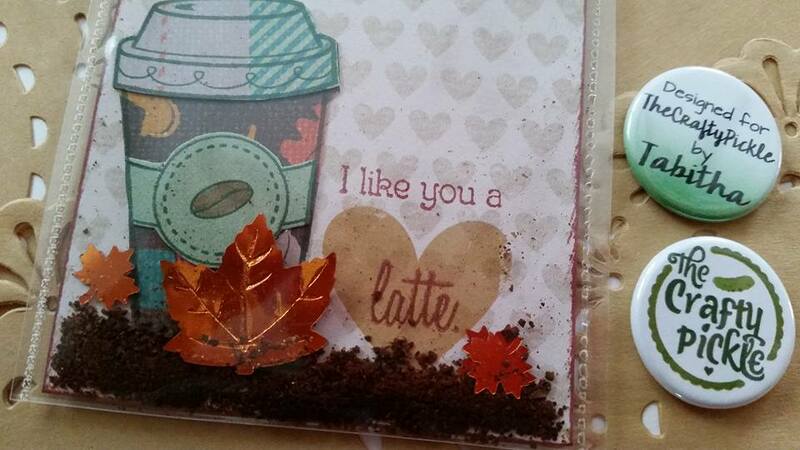 You could also use a button from the Starbucks flair set too, I just wanted to go for an autumn feel with this card. 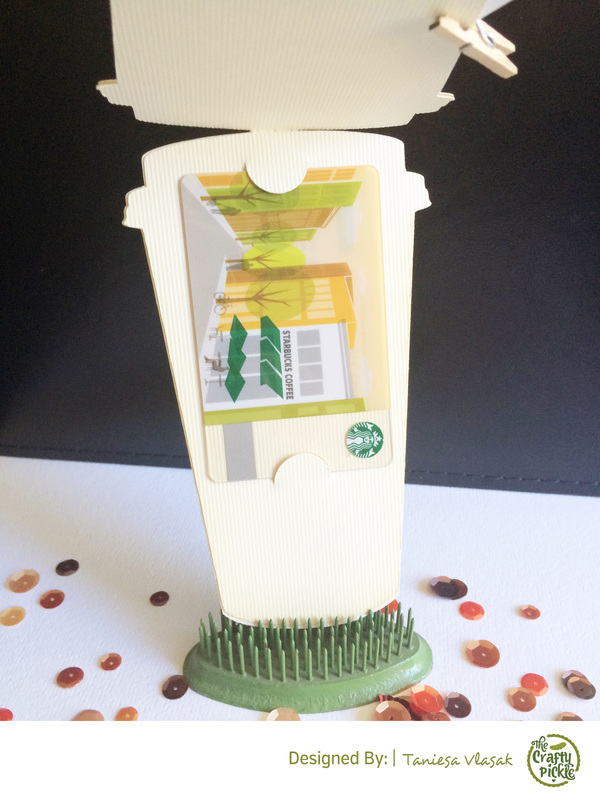 The inside has room for the coffee gift card as well as a little room to write a personal message. 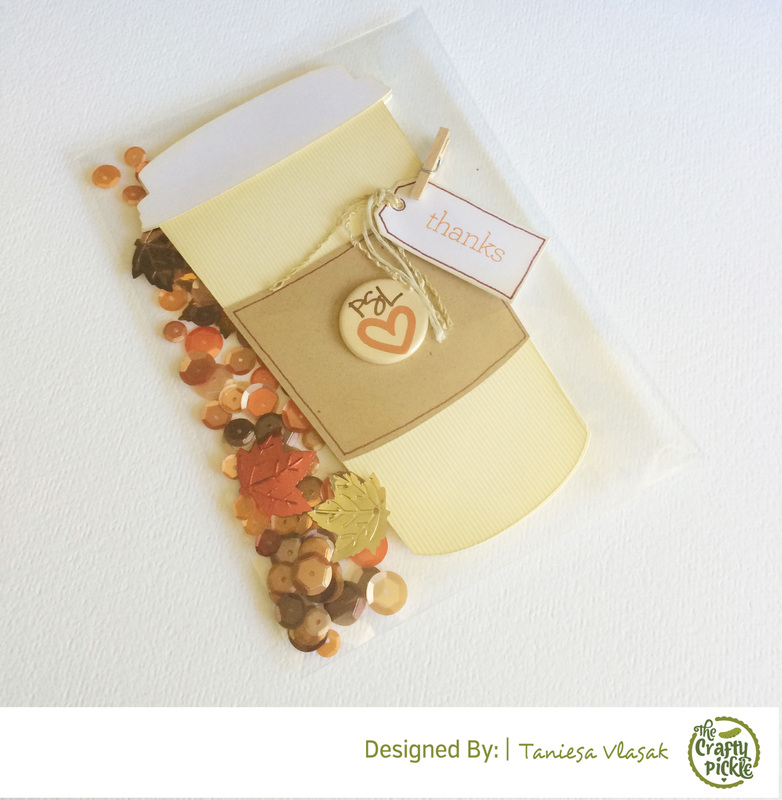 Once it was all finished I slipped the card into a clear envelope and tossed in some of the exclusive autumn mix sequins from The Crafty Pickle Etsy shop for a little added fun touch. I attached a few sequins (that are always included in my flair packages) and attached the Photo Not Available flair with some Tombo Xtreme adhesive. The base card is a Becky Higgins Project Life grid card. As you can see above my flair has a very low profile making it ideal for page protectors of all types, especially pocket pages. It’s about the same dimension as chipboard or thickers. 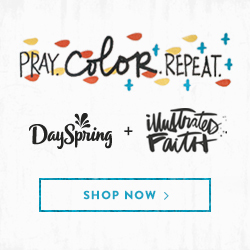 If you haven’t visited The Crafty Pickle Etsy shop recently you might be surprised to find over 30 new flair sets including our new color patterned pop collection and some special limited edition sequins mixes. 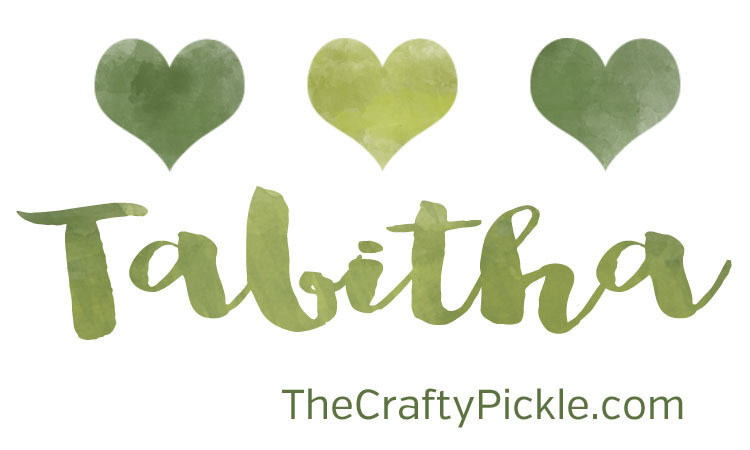 Make sure you Stop by the Scrap your Scraps blog for even more flair inspiration, Not to mention a fun giveaway from The Crafty Pickle Etsy Store too!! !